You might think you know how to spot a scam artist, but owning a home opens up a whole new avenue of potential fraud most people have never considered. Home-improvement scams prey on desperate or optimistic homeowners (especially ones who have experienced a disaster of some kind) who are grateful for the chance to renovate or restore their home on the cheap. What seems like a great deal can quickly turn into a nightmare. Here are three of the most common home improvement scams — and how to recognize them before it’s too late. After a flood, tornado or hurricane, it’s common to see contractors going door-to-door offering their services. For distraught homeowners, this kind of service can look like a blessing — especially when other companies have long wait lists. Unfortunately, shady opportunists pop up after natural disasters. These scammers prey on people when they’re at their most vulnerable. Usually, their work is second-rate and by the time you discover the problem, it’s too late. They’ve already left with your insurance money, and you have to pay another crew out of pocket to fix their mistakes. One popular scam is the contractor who knocks on your door to say they just completed a job for your neighbor, have some leftover supplies and can offer you a great deal on a new project. It’s perfect timing. You’ve been wanting a new deck for a while, but there hasn’t been enough room in your budget. Now you can get the deck you want for half the price. 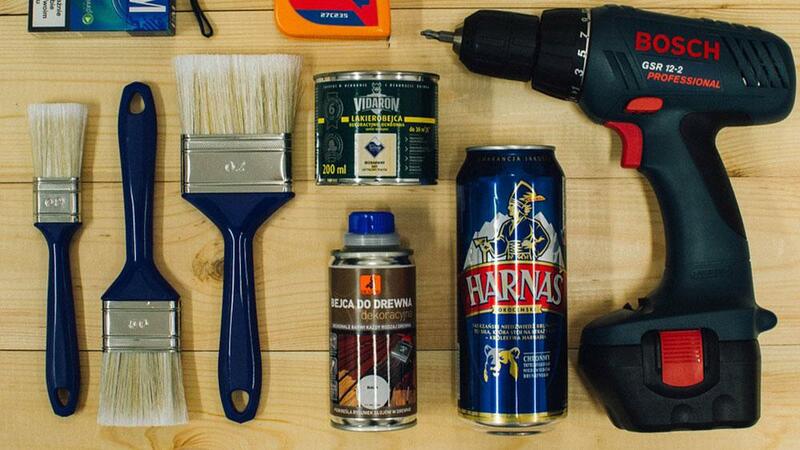 Reputable home improvement companies don’t just wander around trying to find customers to pawn off their extra materials. The contractor who tries this trick is hoping you’ll fall for the “good deal” without checking their credentials. Chances are, they’ll either take your money and run or do a bad job. A man knocks on your door and says he’s offering free mold testing. You let him in, and he finds several areas of your home where mold is growing unbeknownst to you. Thankfully, he says he can remove the mold right then and there. No one wants to live in a house filled with mold, especially if you have children or pets. Unfortunately, this contractor is likely not a mold removal specialist. He’s someone who makes a living convincing people there’s a problem and then immediately promising to fix it. Often, the house in question doesn’t have any mold – and if it does, he won’t have the right tools to take care of it on the spot. He may be scouting your house to rob it or trying to get you to commit to paying immediately to scam you out of money. Before signing a contract or putting down a deposit, verify the contractor’s credentials by checking his/her state license and bonding status, asking for proof of insurance and visiting the Better Business Bureau website. You can also ask friends, family and neighbors for referrals, or use sites like Nextdoor, Yelp, or Angie’s List to get reviews. Only consider contractors who have a performance surety bond, which will protect you if the contractor fails to complete the job. If this happens, you can file a claim on the bond and recoup the losses. Other common warning signs include contractors who want to be paid in cash, refuse to sign a contract, want to forego building permits or expect 100 percent payment up front. Be wary of people whose bids are far lower than other companies, as it might be a sign they don’t actually intend to complete the work. As the saying goes, if it sounds too good to be true, it usually is. It’s also a good idea to get an estimate or project scope in writing that clearly states the work that will be done, required deposits and payment amounts, as well as the time frame for completion. If you believe you’ve been scammed by a contractor, address it with him first before you take legal action. He may be willing to refund your money in order to avoid a long, drawn-out legal battle. Always communicate with the contractor in writing — not by phone, which won’t hold up in court. If you send him a letter, use certified mail so you can prove he received it. If the contractor fails to respond, your next best recourse is to file a suit in small claims court, as long as the amount you’re owed falls within those parameters. Each state has different guidelines on what you can do and what amounts you can collect in small claims court, so check with your state’s Attorney General site. Bring documentation of what he promised to do and photos of what he actually did. You can also file an official complaint with the city or state consumer protection office and with your local home builders association. Many news stations have reporters who specialize in consumer issues, and they love stories of innocent people being ripped off by shady contractors. Finally, Google, Yelp and Facebook reviews on the contractor’s page won’t get you your money back, but it could get the company’s attention in order to not have bad comments showing and might dissuade other consumers from falling for the same trick.